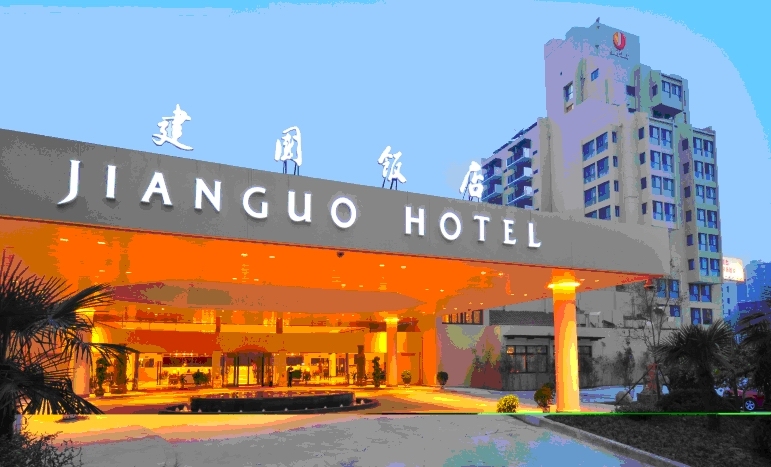 3M-NANO 2012 will be held in the city of Xi’an, at Jianguo Hotel, which serves as both the official conference hotel and the venue for the technical program. Jianguo Hotel is managed by Jianguo International Hotel Ltd., is one of the largest 5-star tourist and commercial hotel with Chinese garden style in northwestern China. 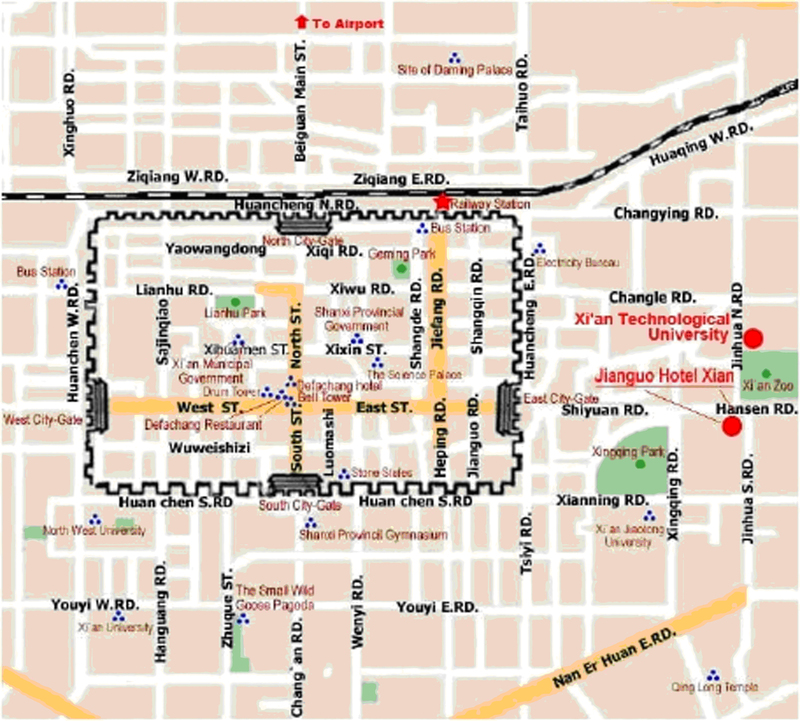 The hotel is located in the historic part of Xi'an on the edge of the walled city, near Xing Qing Park. It is minutes away from the city's East gate, putting guests in a convenient location away from the bustle of congested roads. Known as one of the Four Greatest Ancient Capitals in the world and capital to thirteen Chinese dynasties, Xi'an has enjoyed its splendor for more than three millennia. Today, Xi'an is the largest modern city in northwestern China. Famous for its rich cultural heritage and countless relics, Xi'an annually attracts its visitors from home and abroad. 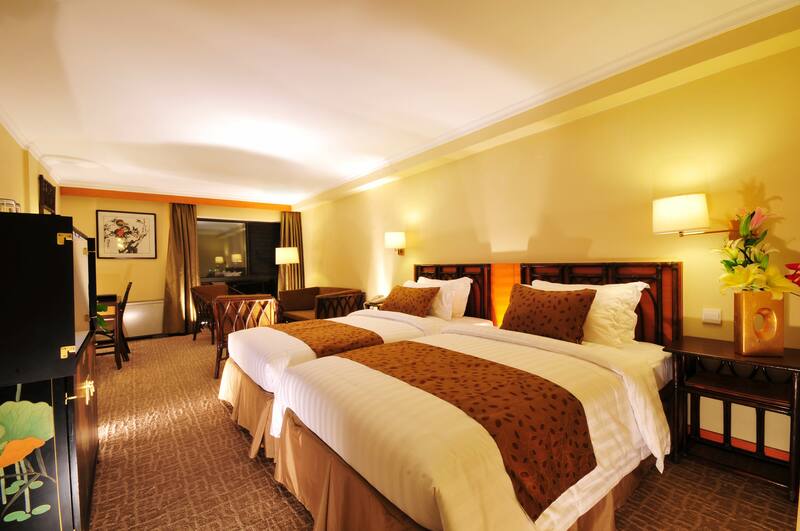 Jianguo Hotel Xi'an, managed by BTG-Jianguo Hotels & Resorts, is the flagship hotel of northwest China. 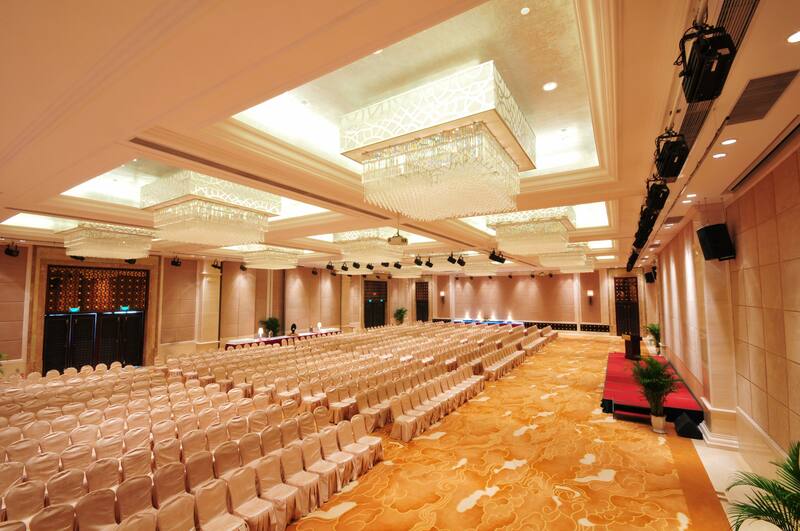 After renovations, finishing in the end of 2009, a totally new Jianguo Hotel Xi'an gained its "National Five Star hotel" status. With more than 600 spacious rooms, the hotel caters its services towards a business and leisure atmosphere meeting the demands of every guest. "City Oasis, Free Jianguo" reflects the Jianguo brand by featuring its professional and personalized services. 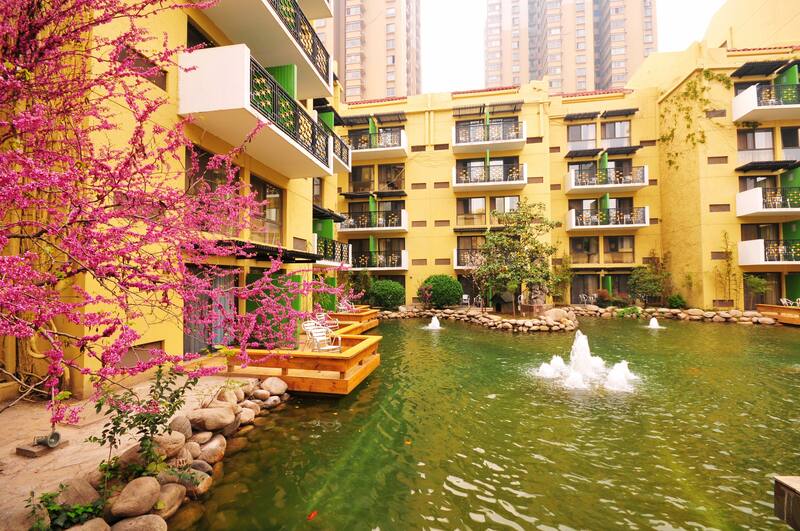 Jianguo Hotel Xi'an is one of the most beautiful garden hotels in Xi'an and serves as your best choice of accommodation, dining, business meeting center or entertainment. By air: Xi'an Xianyang International Airport serves Xi'an, Shaanxi, P.R.China and it is the largest airport in China’s northwest. 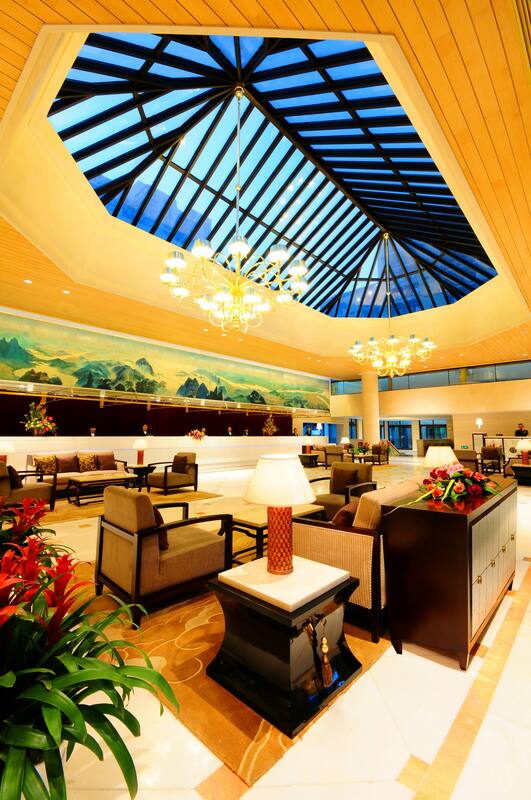 The Airport is not located in the city center and is about 50km away from the Jianguo Hotel. When arriving at the Airport, you can take an airport shuttle bus Line 5 (26 RMB, 50 minutes) directly to the Jianguo Hotel (the terminal of this line). Or you can take an airport shuttle bus NO.1 (26 RMB, 40 minutes) to the Bell Tower (terminal of this line), and then take a taxi to the Jianguo Hotel (about 10 RMB and 15 minutes). Another option is to take a taxi directly to the hotel, which costs about 170 RMB and 50 minutes. By railway: When arriving at the Xi'an Railway Station which is about 5km away from the Jianguo Hotel, you can take a taxi to the hotel which costs around 10 RMB.